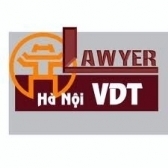 - Appendixes: Appendix 1 - Appropriate code table between Vietnamese Service classification for International trade in services (VCITS) and VCPA and Appendix 2 - Appropriate code table between VCITS and GNS/W/120 service classification of World Trade Organization (WTO)(W120). 2. Ministries, ministerial-level agencies, government-attached agencies and other central agencies, People’s Committees in all levels; 3. Enterprise, other units under the objectives of implementing regimes of statistics report and statistics investigation. 2. Any problems arising in the course of implementation, Ministries, ministerial-agencies, government-attached agencies, other central agencies, People’s Committees in all levels and relevant units should be promptly reported to the Ministry of Planning and Investment (General Department of Statistics) for consideration and settlement.